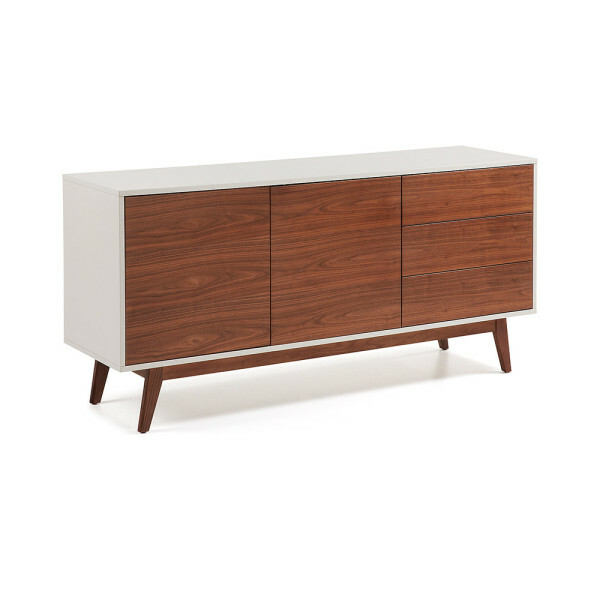 Sideboard in matt lacquered fiberboard structure. Doors in american walnut wood veneer. Solid american walnut legs.